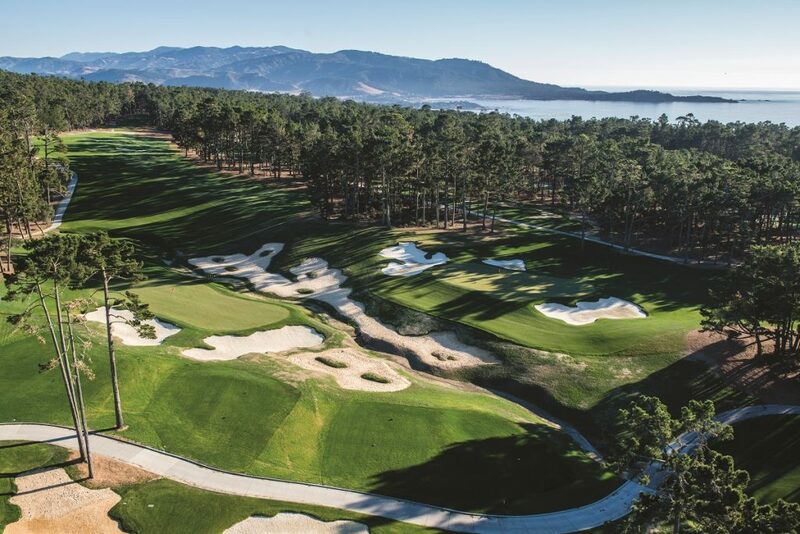 When picturing California’s beautiful Monterey Peninsula, it’s hard not to distract yourself with thoughts of the infamous 7th hole at Pebble Beach or memories of golf legends performing heroic feats, like Jack Nicklaus winning the 1972 US Open. However, this small peninsula is home to much more. 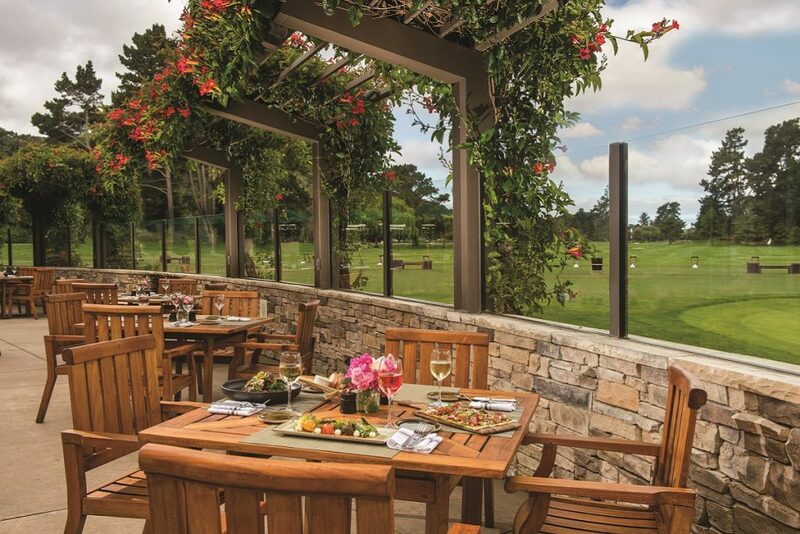 From famous courses like Spyglass and Spanish Bay to exclusive private clubs like Cypress Point and its many restaurants and wineries, Monterey is the perfect place for an exquisite getaway. But digging deeper reveals countless lesser-known treasures. 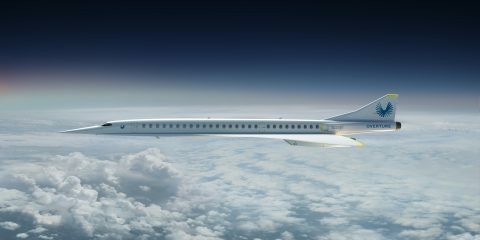 Here are a few of the hidden gems we’ve uncovered. 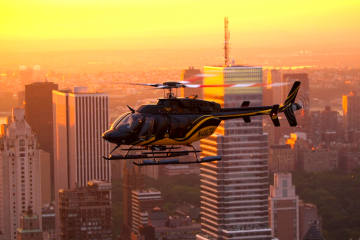 With its tagline ringing “escape the everyday,” Quail Lodge & Golf Club is the ideal place for a jetsetter to retreat. Known for its natural serenity, this inclusive California ranch is found on an 850-acre property and is home to an abundant array of amenities including guest rooms/suites, golf, restaurants and many other recreational activities. This newly-renovated property will have you whisked away and immersed in its tranquility. 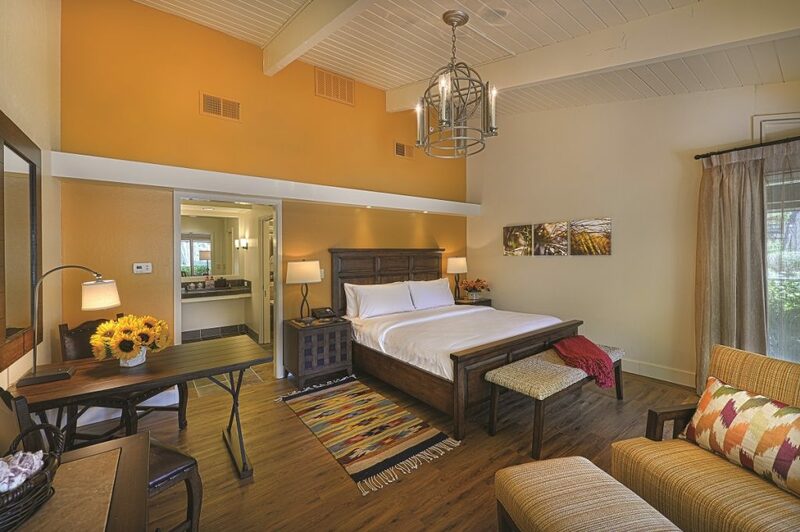 When beginning to plan your stay at Quail Lodge, you will notice the wide selection of room options. With the hotel drawing inspiration from old California ranch styles and Spanish Colonial designs, there are over 11 different suite and villa styles that are sure to accommodate all of your needs. The notable amenities offered include individual in-room fireplaces, private parlors, and personal balconies and patios giving expansive golf course or garden views. Also located at the clubhouse is one of the resort’s main dining experiences, Edgar’s. 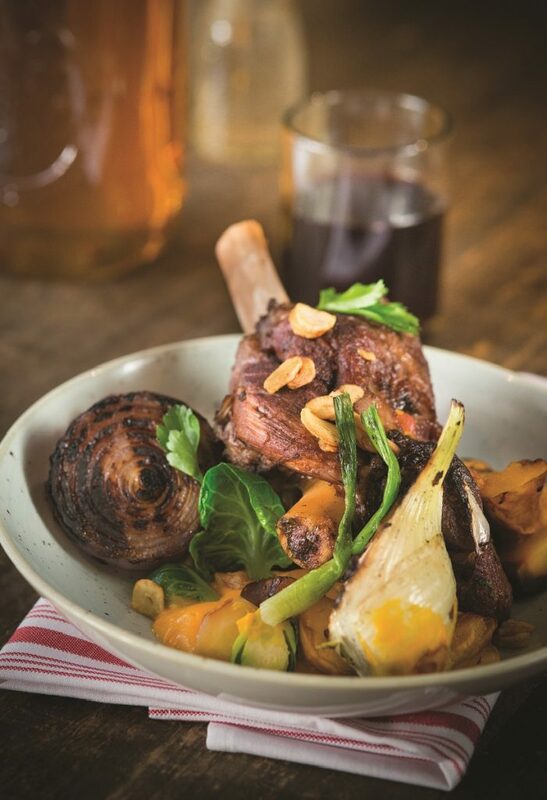 With his unique “farm to fork” concept, Executive Chef Brian Kearns uses local harvest ingredients to create mouthwatering California cuisine combing fresh seafood and other local favorites. The casual elegance of this food is further enhanced by the restaurant’s natural backdrop of the golf course and the stunning Santa Lucia Mountains. Other resort dining experiences include Waypoint Bar & Deck, Covey Breakfast Restaurant and Quail’s Nest. Quail Lodge also offers unique outside activities to keep active guests busy. 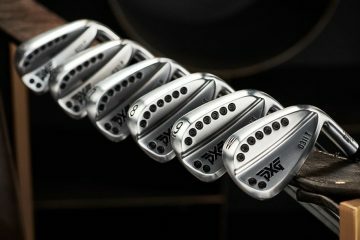 Beyond a putting contest on the nine-hole putting course or a friendly game on the sand bocce ball court, one can take on the West Coast’s only Land Rover Experience driving school. These adventures are customizable off-road driving lessons that will be sure to challenge anyone’s wild side. 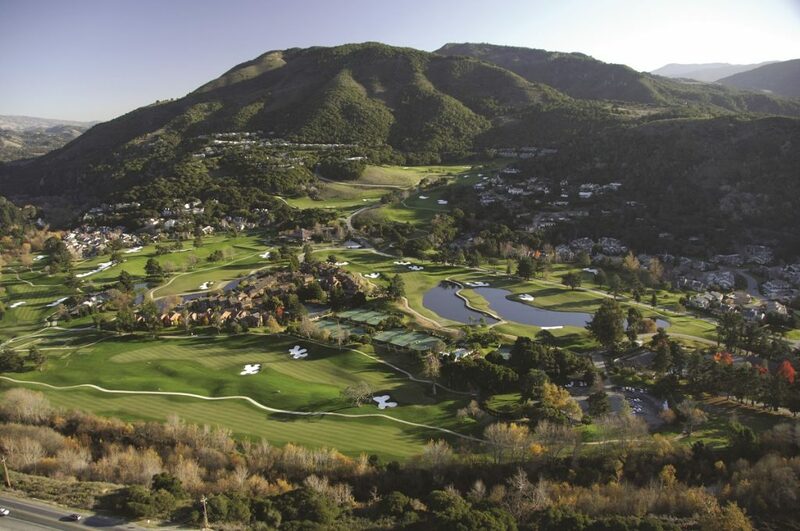 Speaking of the wild side, we head over to our next hidden gem, Carmel Valley Ranch. This resort places its emphasis on the “idea of play.” From rounds of golf to an intense bee experience (suiting up in a beekeeper’s suit and getting up close and personal with the bees), this is a spot for play for all ages. The suites and guest rooms draw upon a California ranch style from their vantage point sitting on the ridges and rolling hills of the Santa Lucia Mountains. 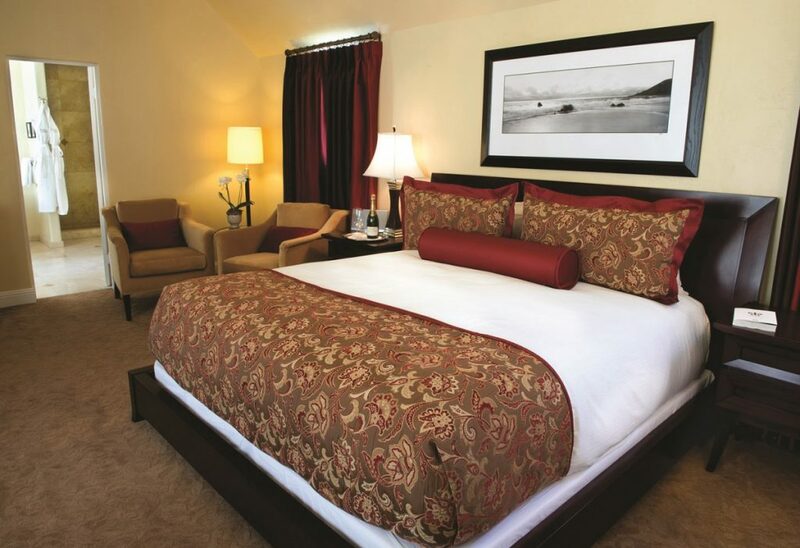 Guests can choose their suite location from three different neighborhoods depending on their view preference of the valley, the bluffs and golf course or the incredibly intimate courtyard gardens. The rooms themselves define the precise point where luxury meets bliss. 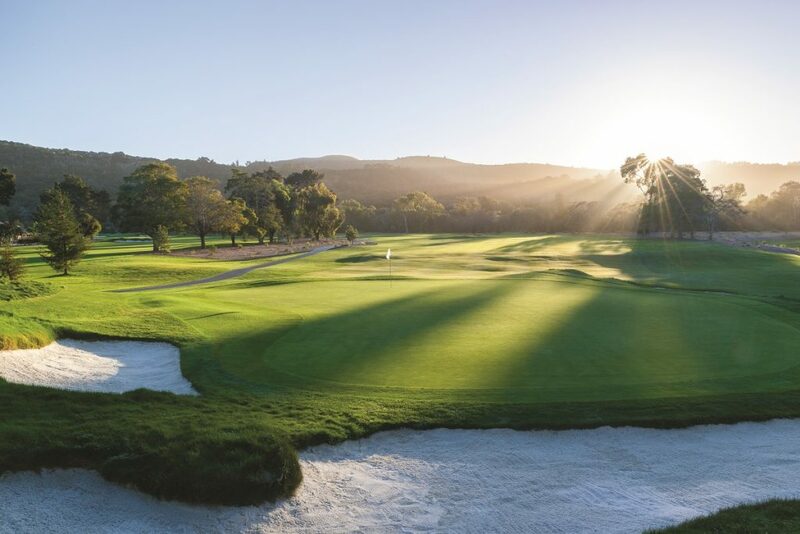 Focusing on the idea of play, we head over to the resort’s 18-hole golf course which is the only Pete Dye-designed golf course in Northern California. With a recent multi-million dollar course enhancement, the par 70 course challenges your game with its dramatic elevation changes while forcing you to avoid its natural surroundings like vineyards, lavender fields and old oak groves that guard each hole. The award-winning views mixed with the unique microclimate that provides over 300 days of sunshine promises nothing but the perfect round of golf. 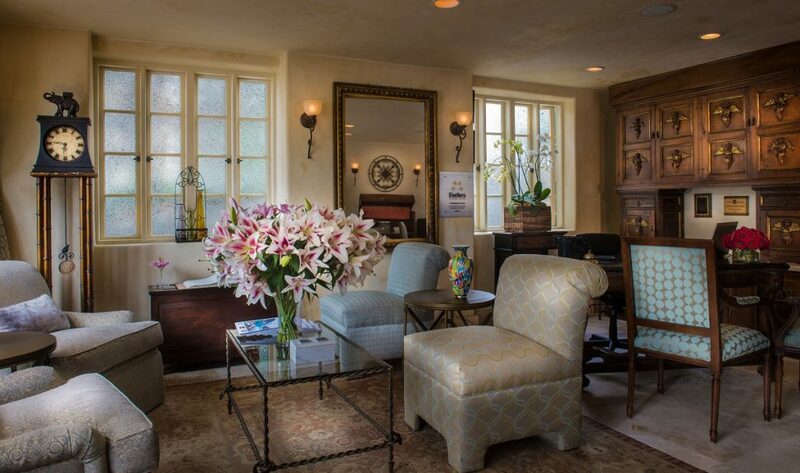 After playing 18 holes, you’re welcome to enjoy the gorgeous clubhouse that in 2013 underwent a million-dollar enhancement. Golfers have access to the newly-placed fire pit seating areas, updated locker rooms and huge outdoor patio seating to further take in the views and ambiance surrounding the course. Stepping back indoors, we head over to the newly remodeled Valley Kitchen, where Chef Tim Wood reiterates that the kitchen is the heart of the home (or in this case the Ranch). The freshly expanded Valley Kitchen creates a highly vibrant environment that connects its guests with the local community through the taste of food and is arguably the social hub for the entire resort. Focusing on the popular “farm to table” concept, Wood encourages his chefs to be creative and unique. The menu is broken down into three sections — “Let’s Taste” (nibbles), “Let’s Share” (commune) and “Let’s Eat” (full portions). Diners are meant to feel as if they are experiencing a home-cooked meal which they are sharing among their family. 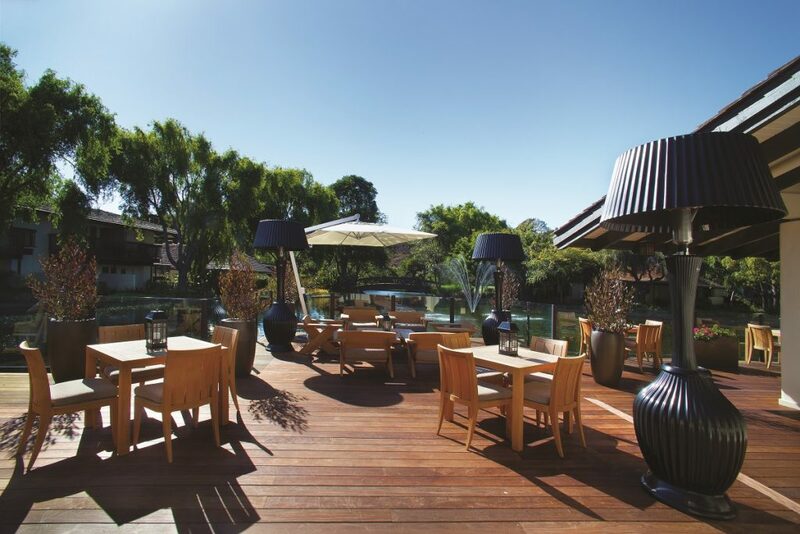 All items are sourced from the valley region and the dining experience is inspired by the area’s natural surroundings. To further help guests experience the local Monterey culture, the Ranch has even created its very own wine label. 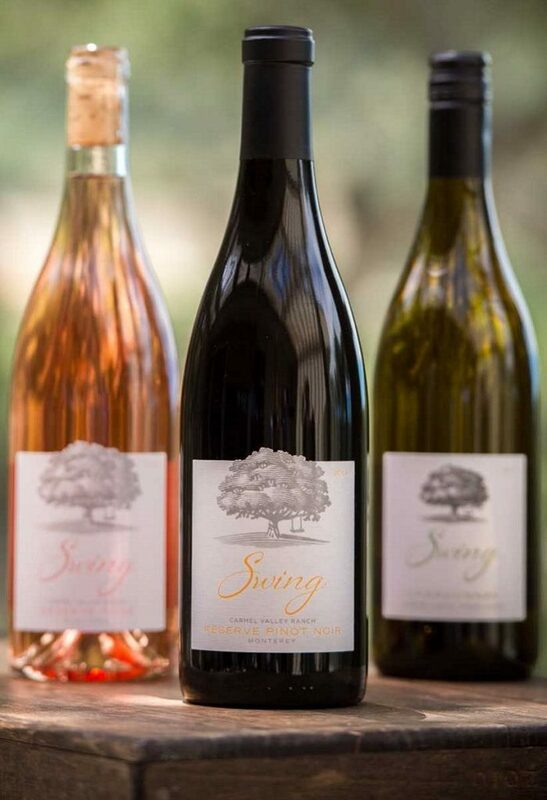 Swing Wines launched in fall of 2015 and is curated from its Carmel Valley Ranch Pinot Noir Vineyard that spans four acres across the actual ranch. Winemaker Peter Figge, who sadly passed away this year, held a zest and passion for life that he poured into his wines. 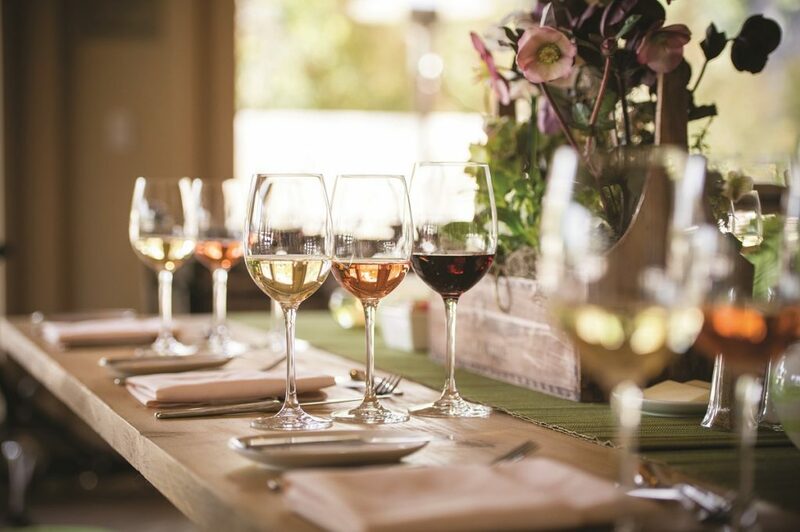 Among the wines curated, some of the most notable were the 2015 Swing “Reserve” Pinot Noir Carmel Valley, a rich bodied Pinot with flavors drawing from dark cherries, plums and earthy threads. The 2015 Swing Pinot Noir is a vibrant, bright bodied wine known for its long finish from bing cherries, blackberries and earthy nuances. And last but not least, the 2016 Swing “Reserve” Rose is crisp, clean, and full of summery acidity created from hints of strawberries, melon and white cherries. 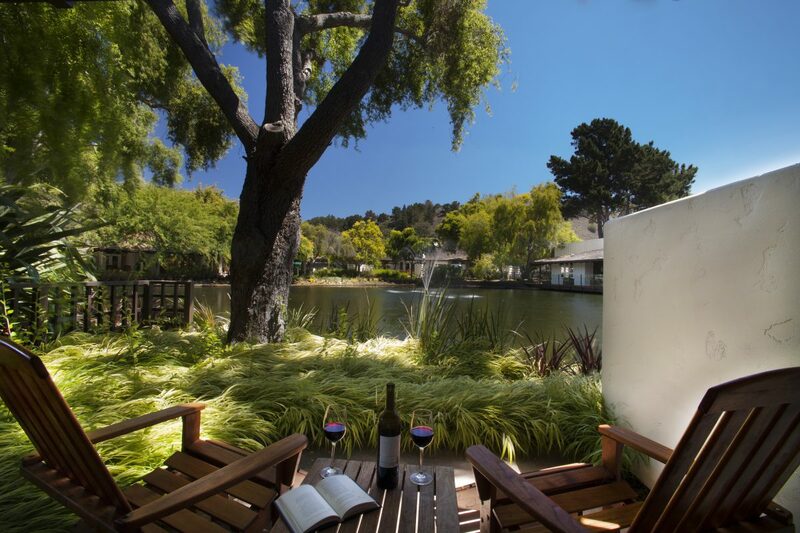 Step away from the California ranch feel and into a European haven with our next hidden gem, L’Auberge Carmel. 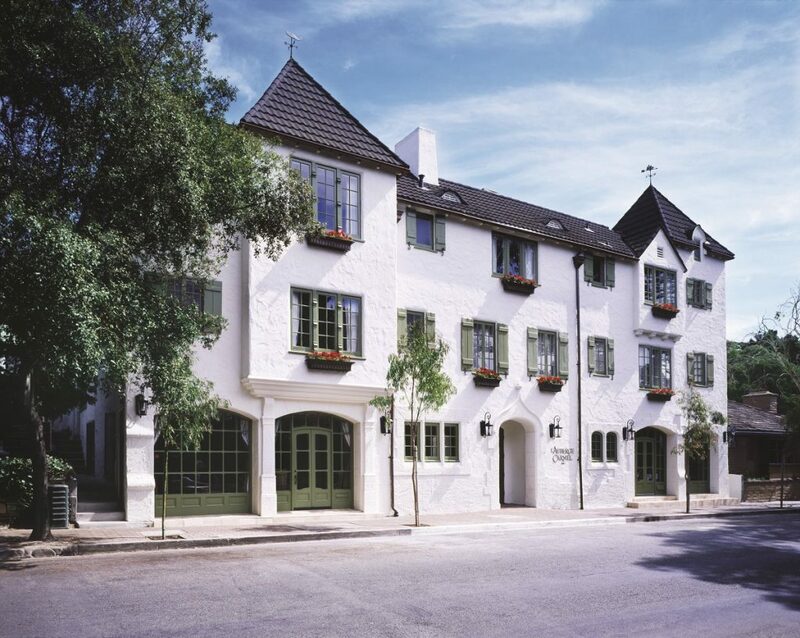 This French-inspired hotel, initially commissioned in 1929 by Allen Knight, is known for its architectural beauty. Its three-story wood frame design creates historic European flair with modern style and elegance. 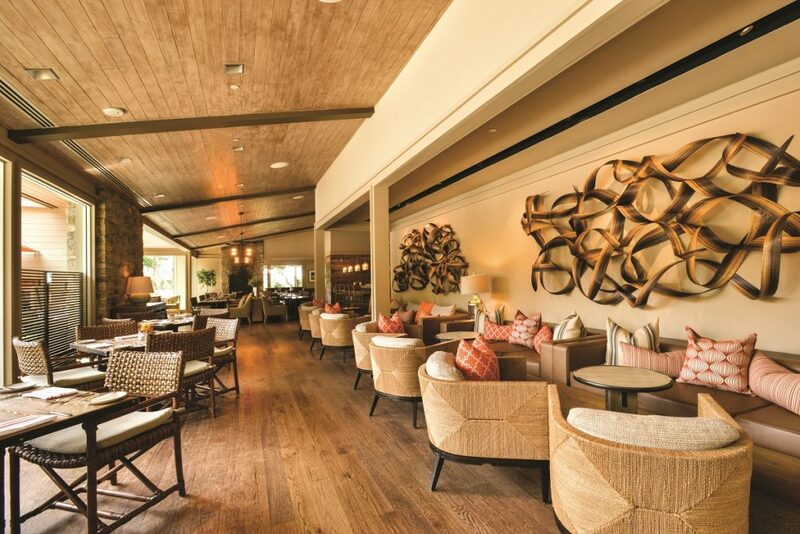 With a restoration in 2004, a million-dollar remodel in 2012, and a refresh being finalized early this year, L’Auberge Carmel is one of the only full-service inns that combines a romantic old-world atmosphere with the comfort of the best, high-end modern luxuries. 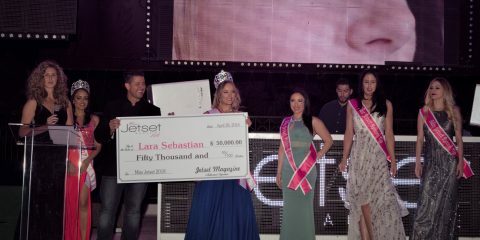 L’Auberge has received numerous awards, including spots on Conde Nast Traveler’s “Top 25 Hotels in Northern California” and Travel and Leisure’s “Top 500 World’s Best Hotels” lists. The resort’s intimate five-star restaurant, Aubergine, which is also open to the public, is headed by award-winning chef Justin Cogley. He and his team offer an eight-course tasting menu that changes daily to showcase the best and freshest ingredients of the season. Wine parings are also available for each course, supplied by the restaurant’s expansive, 2,500-bottle underground wine cellar. A visit to L’Auberge is like staying at your very own village by the sea. The area’s cobblestone streets are lined with art galleries and charming boutiques. 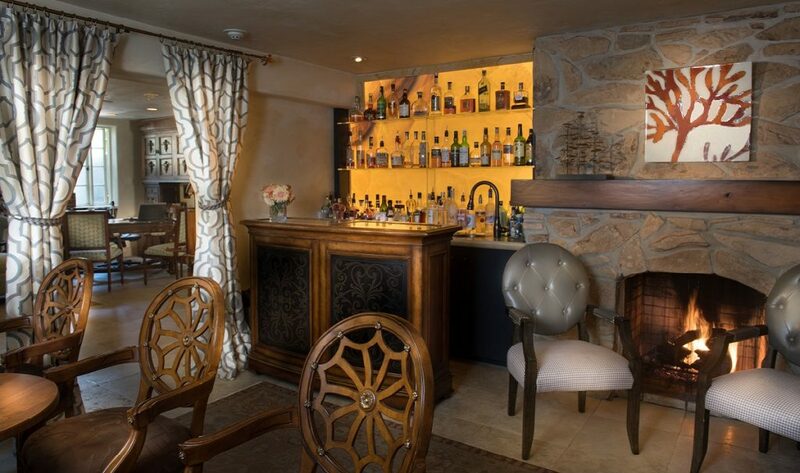 With its ideal combination of culinary bliss and artistic adventures, L’Auberge offers the perfect Carmel getaway. 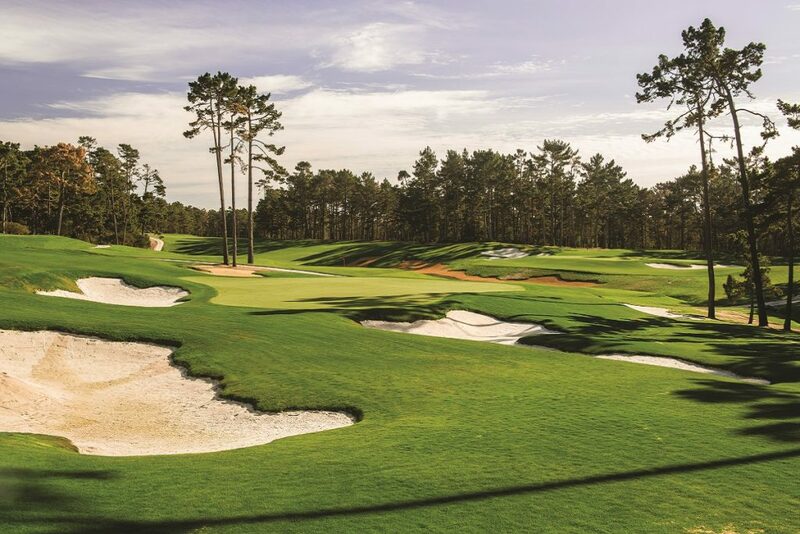 In 2013, the course underwent a 10-million-dollar renovation and redesign by the Robert Trent Jones Jr. design firm and ended up winning the year’s “Best Renovation” by all four major golf publications. The renovation included the addition of a wireless soil monitoring system and 1,800 individually-controlled sprinkler heads to create the most pristine golf surface possible. Additionally, the course extended its length to over 7,000 yards, softened the doglegs, eliminated rough and added extra tee markers to appeal to all levels of the game, including First Tee markers for junior players. 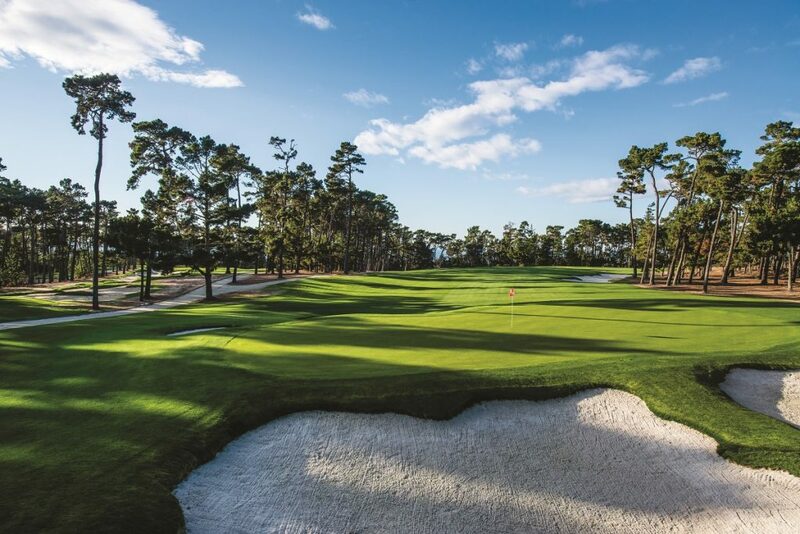 With its reopening, the “New Poppy Hills” quickly became a hit and in 2017 found its way onto Golf Digest’s list of Top 100 courses. 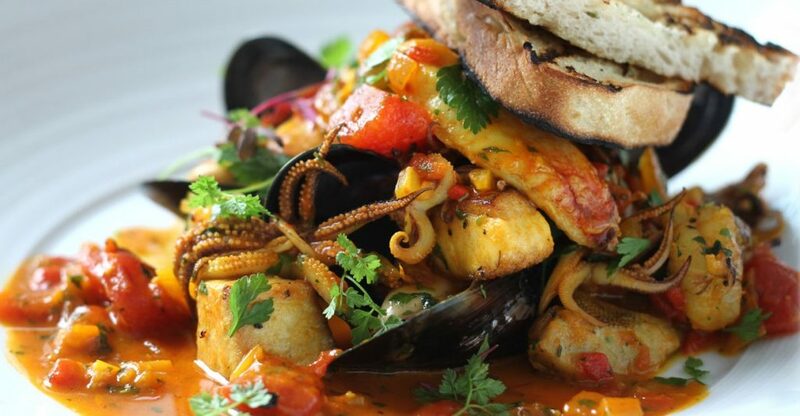 With Monterey County being right along the coastline, it is a must to indulge in coastal cuisine. The C restaurant + bar is the place to do so. Executive Chef Matt Bolton has taken his culinary brilliance and combined it with the hip, modern aura of the oceanfront setting to create a culinary experience you won’t forget. 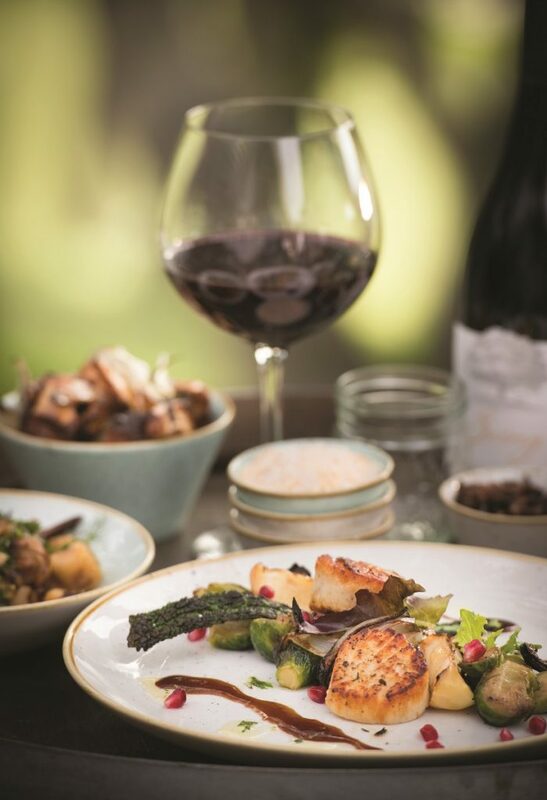 Focusing on superb ingredients, Bolton creates exquisite, zestful yet not overly rich dishes that pair perfectly with the unique creative cocktail menu at the C Bar, creating an overall well-rounded experience for your palette. 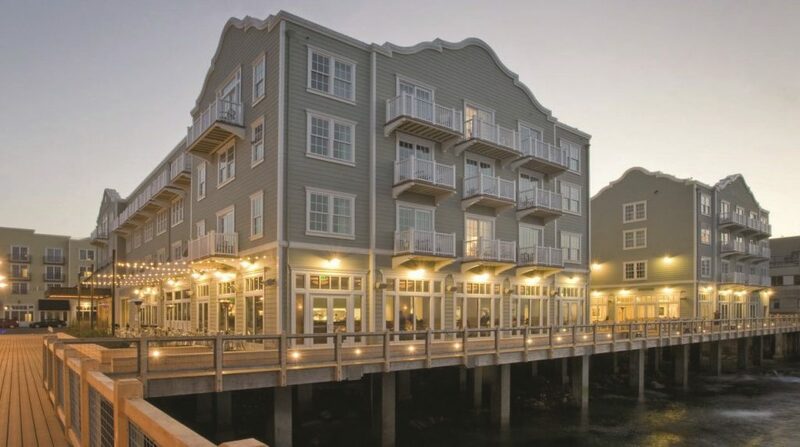 As one of the best-rated seafood restaurants in Monterey, this upscale restaurant will not only blow you away with its mouthwatering food but also its incredible views. We consider this one of the best places to view the entire coastline with every table having a view of the Monterey Bay National Marine Sanctuary. Chelsea Pezzola is a professional golfer, model, and social media sensation who has appeared in Maxim and on ESPN. 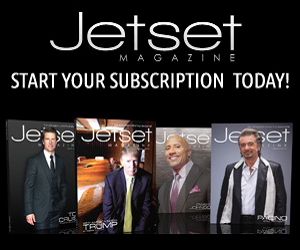 For editorial consideration please contact [email protected](dot)com.